Welcome to my thread! 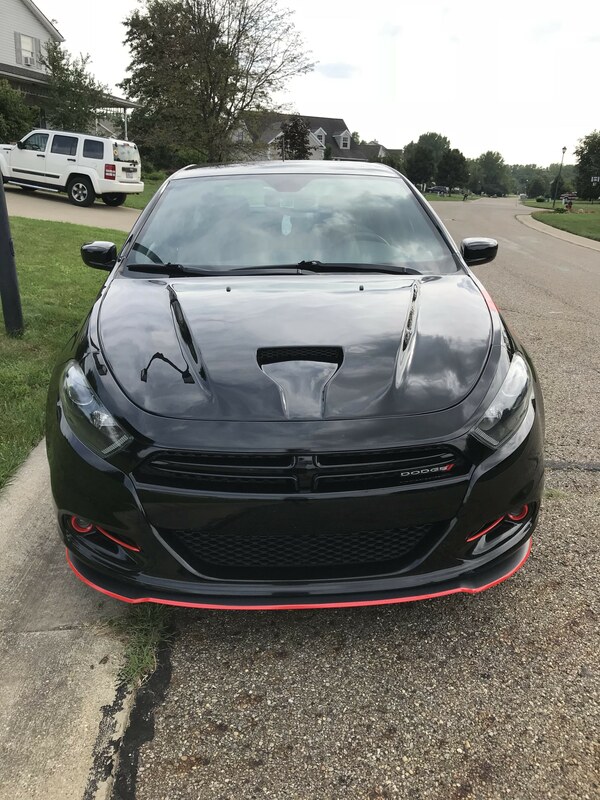 I've done quite a few modifications to my dart since I bought it in October of 2016. Figured i'll show you guys what i've done, what I plan on doing, and chatting or answering any questions people have. Also my one rule for this thread is "Don't hate, appreciate!" 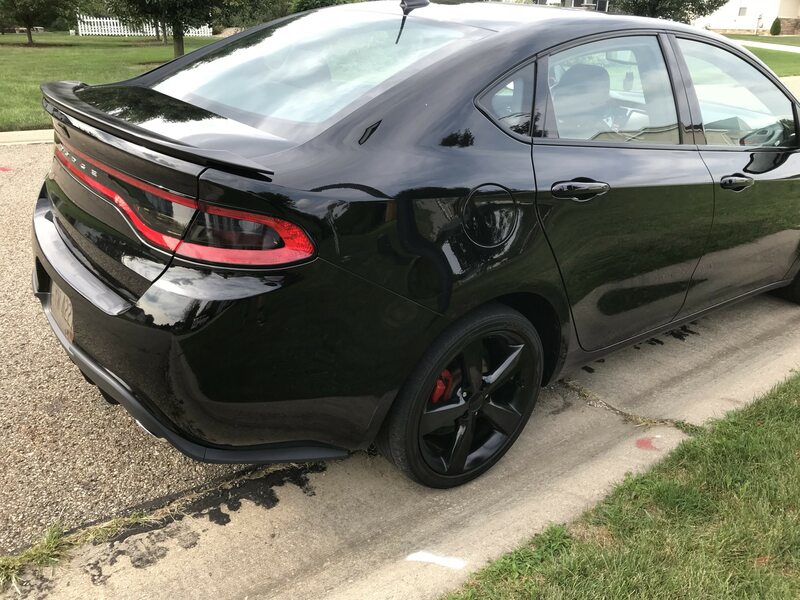 I have a 2015 SXT Blacktop/Rallye with the 2.4 MultiAir Engine. 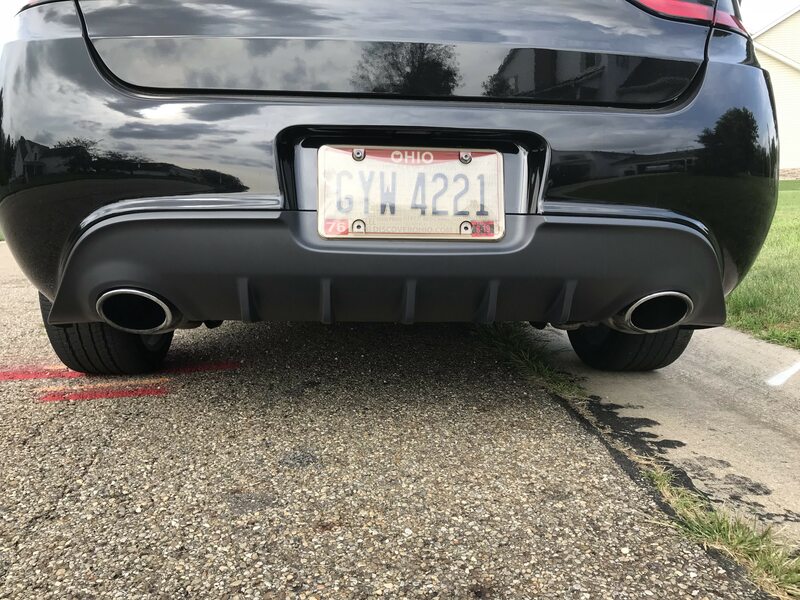 The majority of my modifications are cosmetic but i have a few performance mods as well. Without further ado, let's start the mod list. 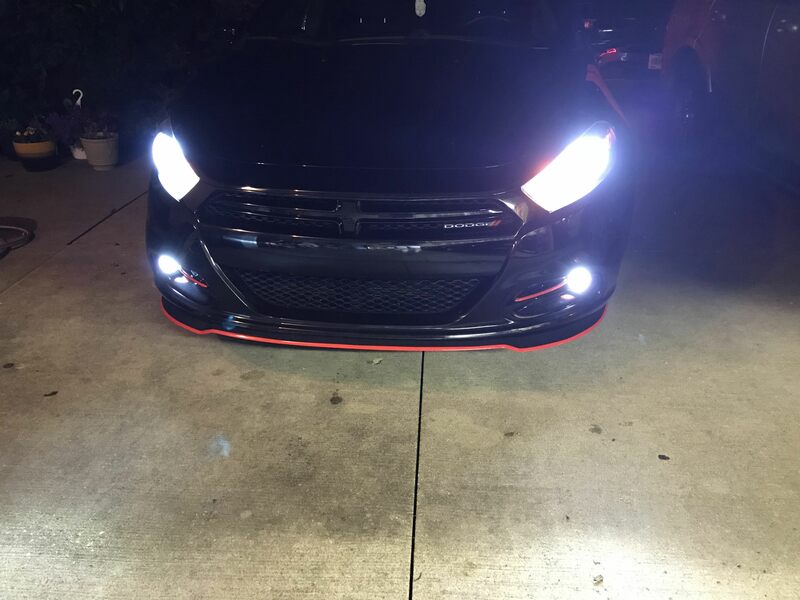 Xenon Vision 6000K HID Headlights/Foglights - What a (good) difference. 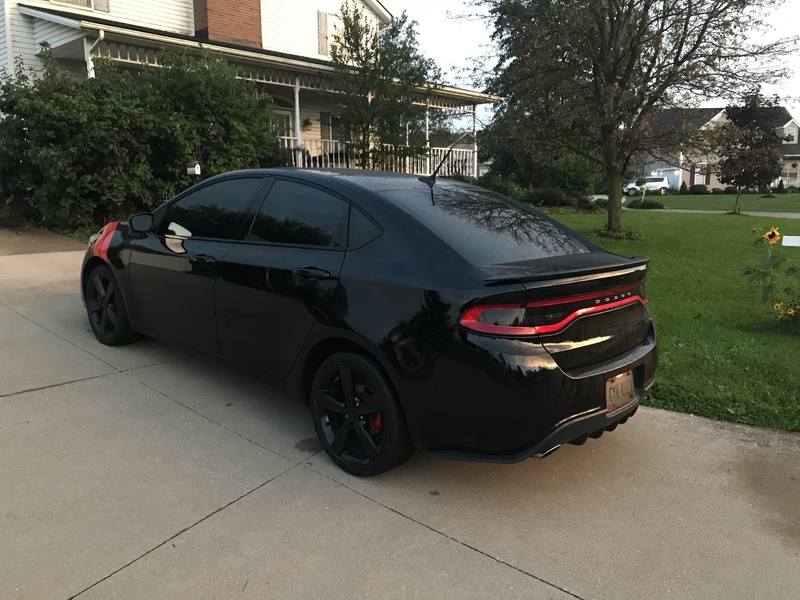 Install was super easy and they really give the car a much better look at night. Much brighter than the stock halogens. No error messages either. 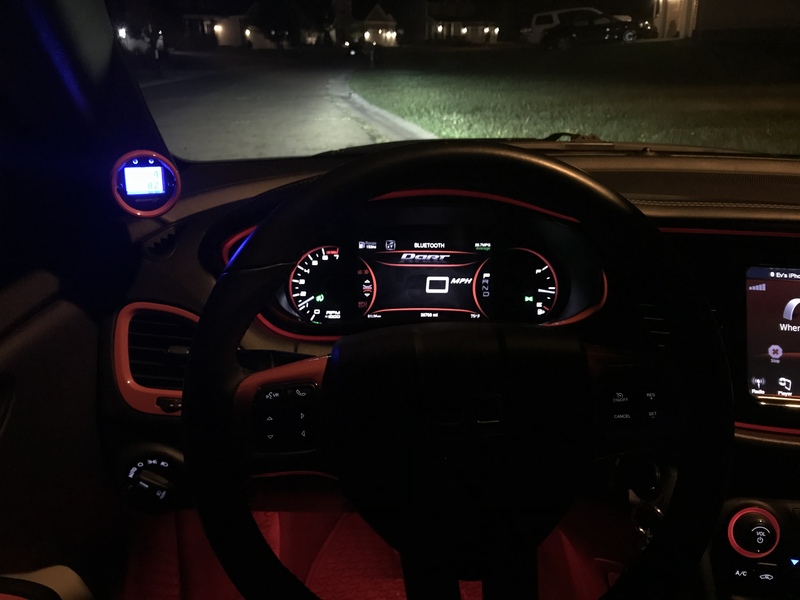 LED Interior Dome Lights - Probably the easiest mod i've done on this list. Bought some White T10 LED's off amazon to swap out for the interior lighting. 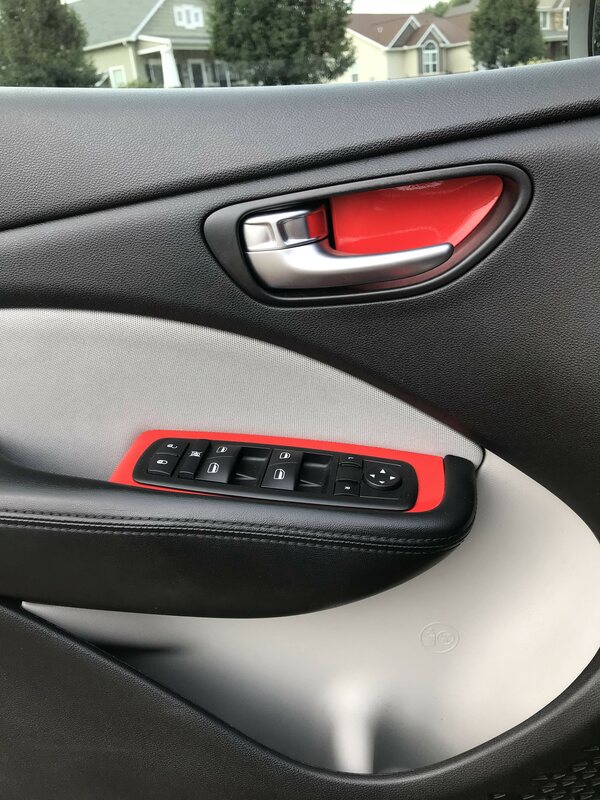 Really gives a luxury look. Also, I really enjoy the ghosting effect the LED's have when the light is turned off. They ever so slightly illuminate (because the constant current that flows through the dome light wires) and make a really cool effect at night. I've even been complimented on it by a few passengers. 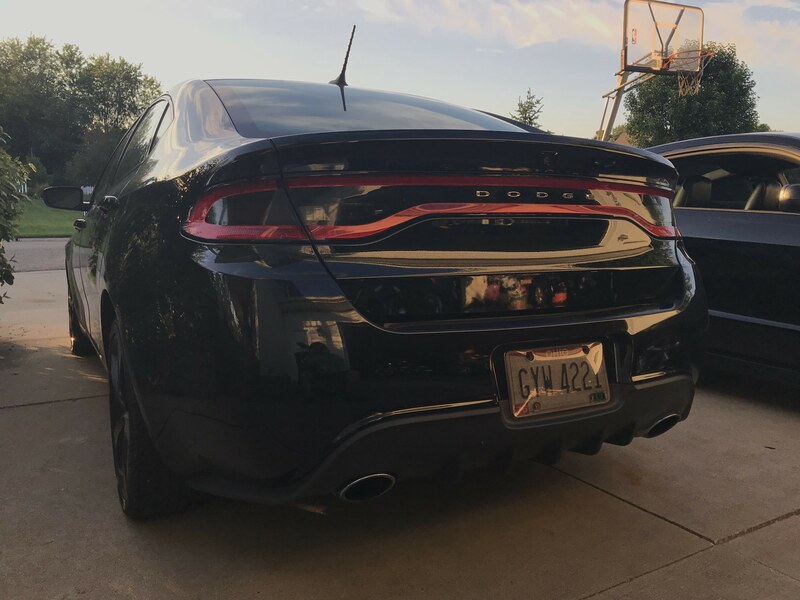 LED Reverse Lights - Also ordered off amazon. Didn't like the look of the yellow incandescent bulbs. Looks amazing now and very bright. 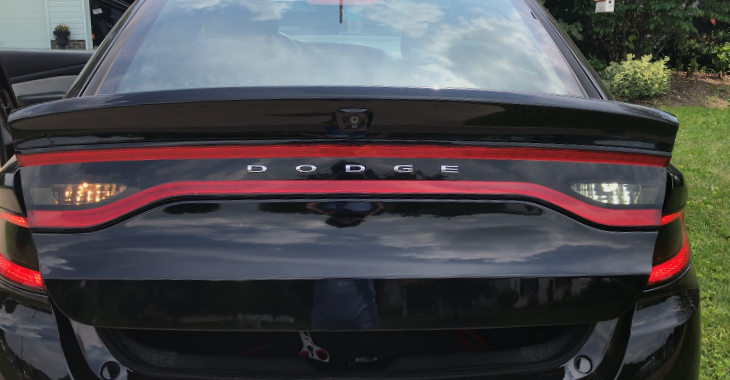 Shines through my taillight tint great. These did require me to splice in load resistors to stay away from error messages. They've been running great with zero error messages. 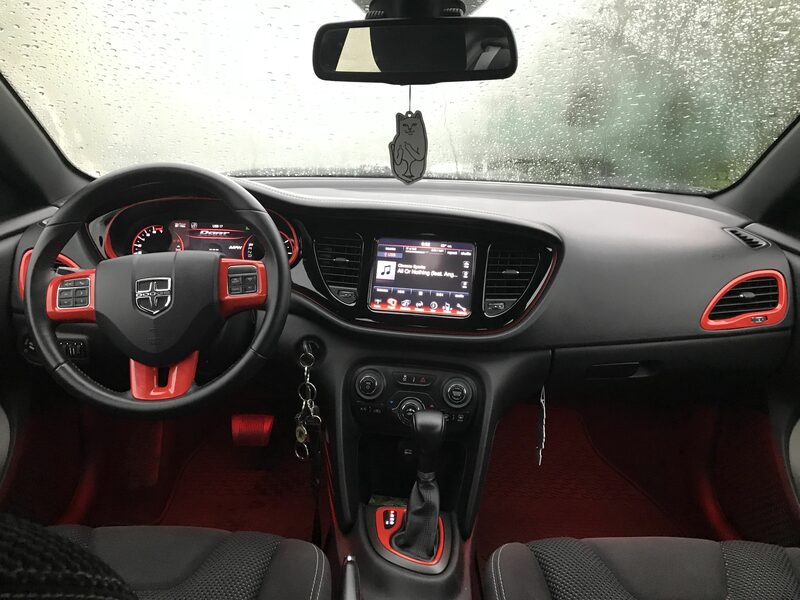 3M Vinyl Wrapped Interior - This is usually what i get most compliments on. 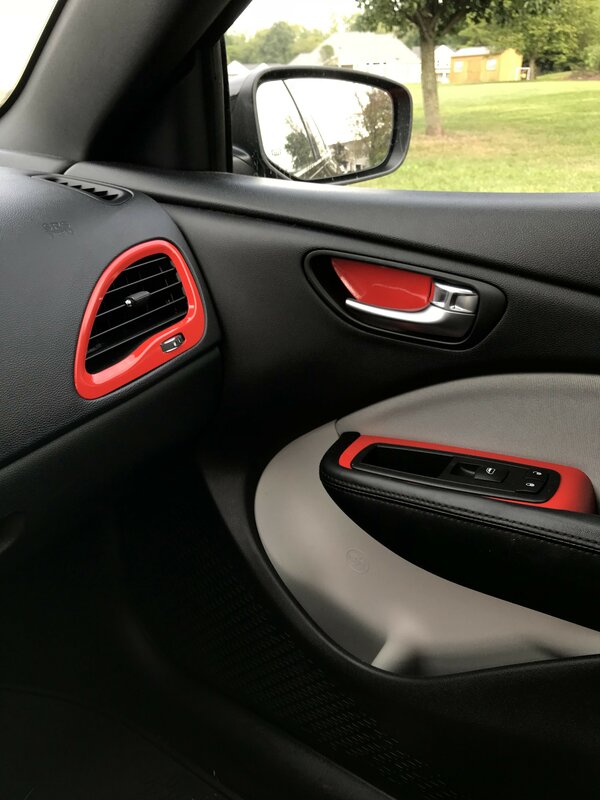 Wrapped a ton of my interior pieces/vents in hot rod red vinyl. Spent a long time doing all these pieces meticulously. 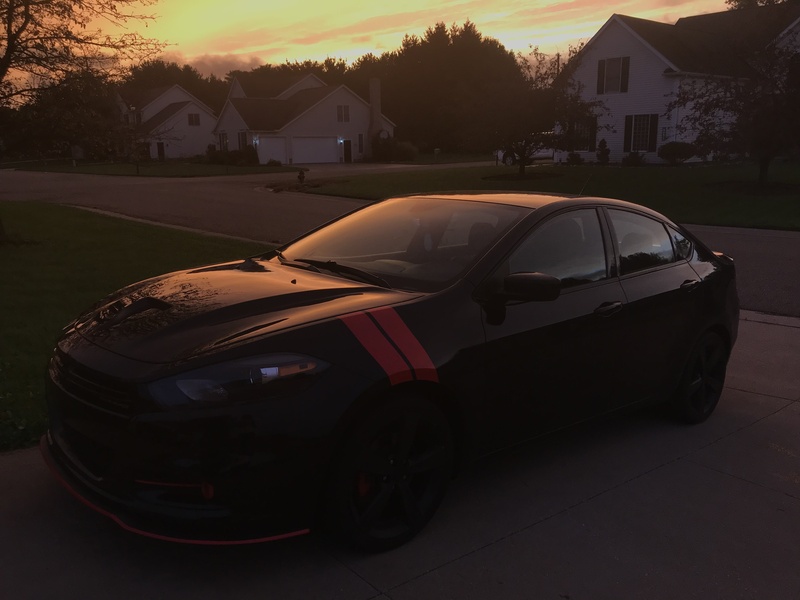 Also did a few pieces in Vivvid carbon fiber vinyl wrap. Best part is that it's completely reversible. 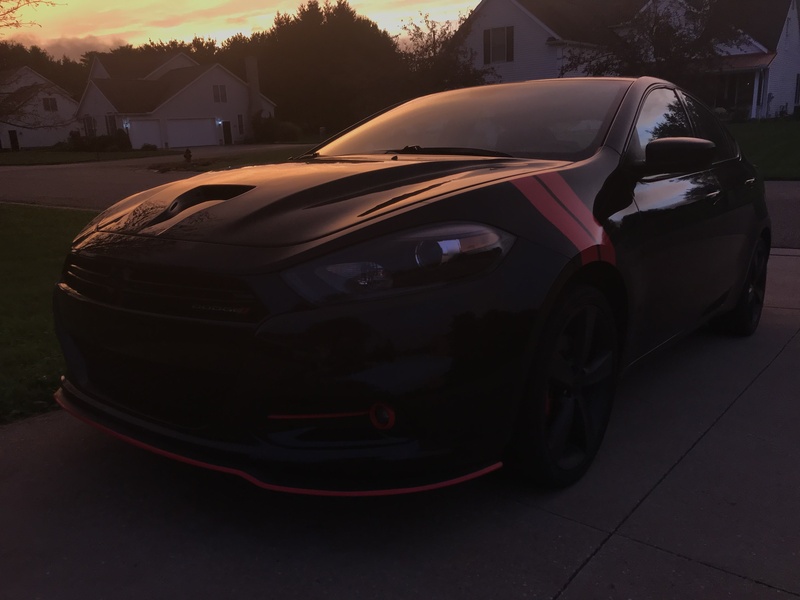 3M Vinyl Wrap Driver Side Hash Marks and Fog Accents - Used the same 3M Hot Rod red vinyl to do these. Many people think its painted. Holds up great to the weather/sun and again fully removable! This forum restricts you to 10 images per post so I will continue in the next post. Mass_Paul, farmtalk and Swordsage like this. 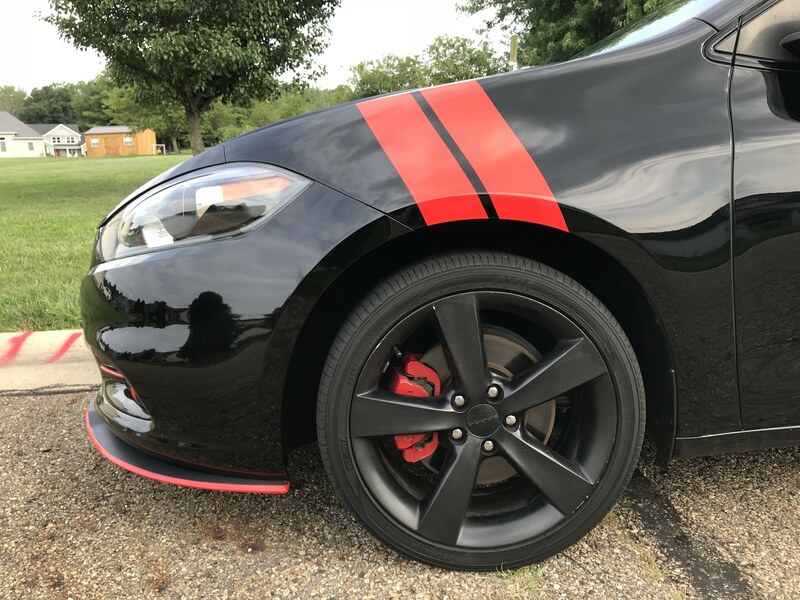 Red Painted Brake Calipers - One of my first mods. Really made the black 5 spoke rims pop. Painted Engine Bay Parts - Used high temperature paint. 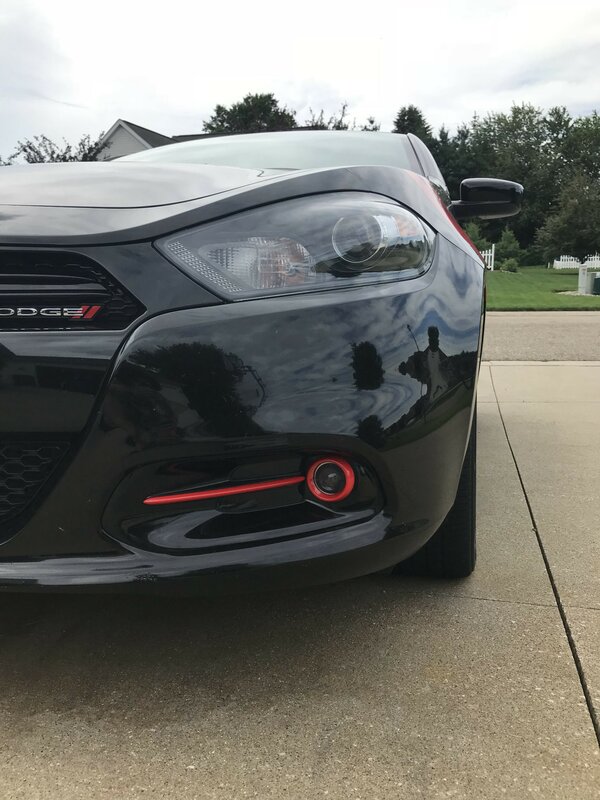 I've changed a few things since first doing it and now plan on doing the rest in a similar metallic red color to my cold air intake i just installed. 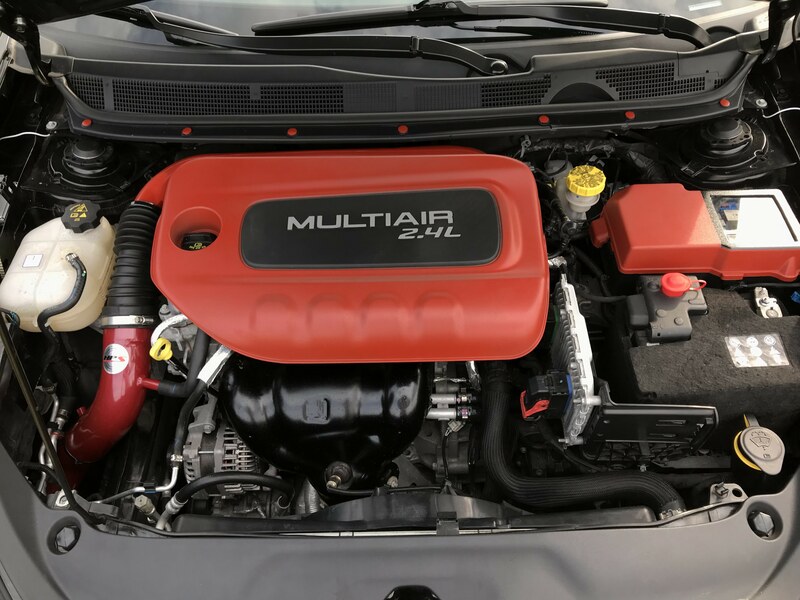 Made the engine bay less boring. TFT Digital Cluster Upgrade - Out of a salvage dart. Popped it in at the exact matching mileage so the odometer is correct. Had to get it flashed at a dealership but it works error free and i love it! Also had to get the 6 button steering wheel switch. RB5 Radio Unit Upgrade (Navigation) - Also out of the same salvage dart i got the tft from. Had to get the Anti-Theft code for it from a dealership. Installed myself and let me tell you. Get ready to swear up a storm while taking out the glove box lol. Got 2 birds with 1 stone getting a flash to set up this and the tft. K&N Drop in Filter - Put this in my stock airbox before i had a CAI. Definitely gave the car a little for pep for its step. 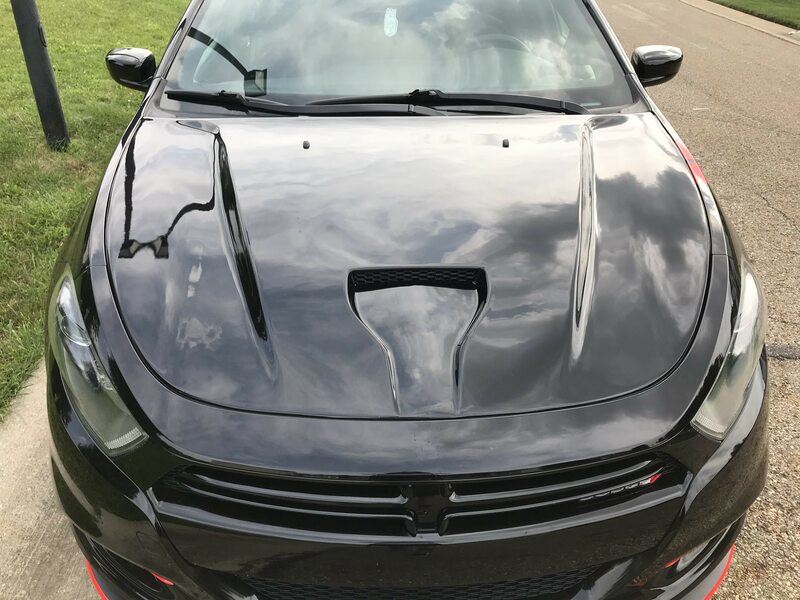 MPX Fiberglass GTS Tribute Hood - Picked this up off of a forum member ('13mopar315). Paint matched to pitch black. Lowered engine bay temps. Pairs well with CAI. 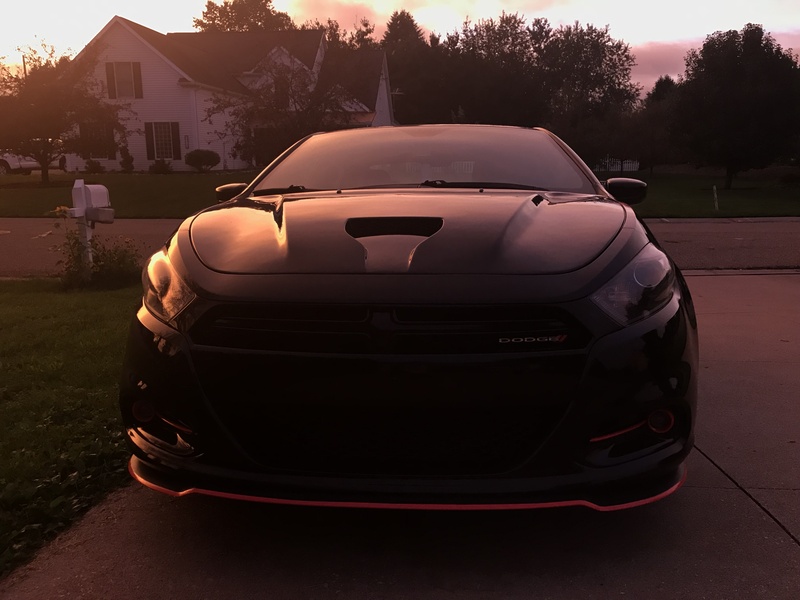 Love the aggressive look it gave my car. 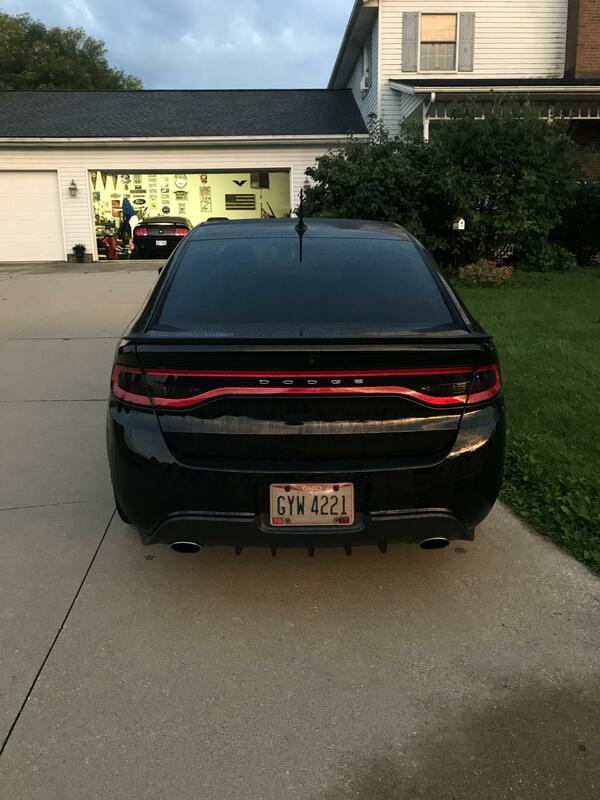 LED License Plate Light - Had to match the reverse lights. Got an error eliminator off of ebay and works great error code free. 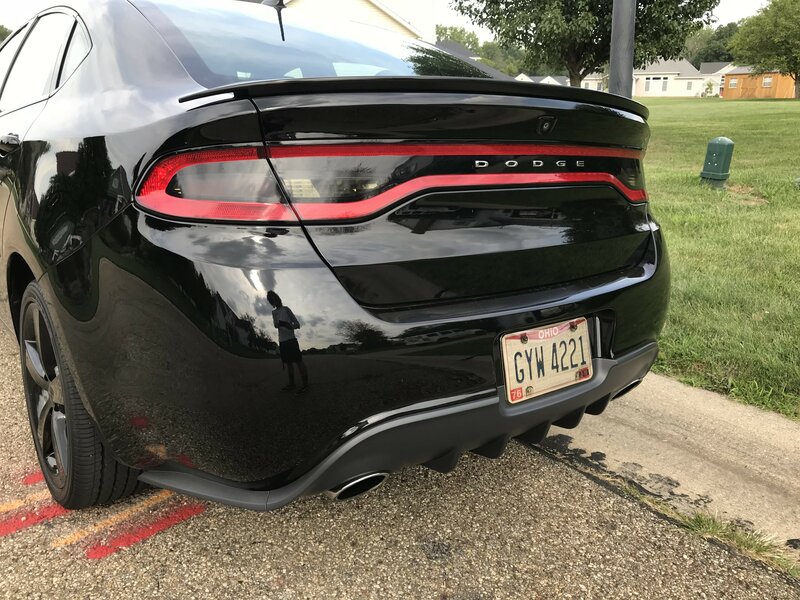 Tinted Racetrack Tailights - Love the blackout look these gave. $20 on amazon. 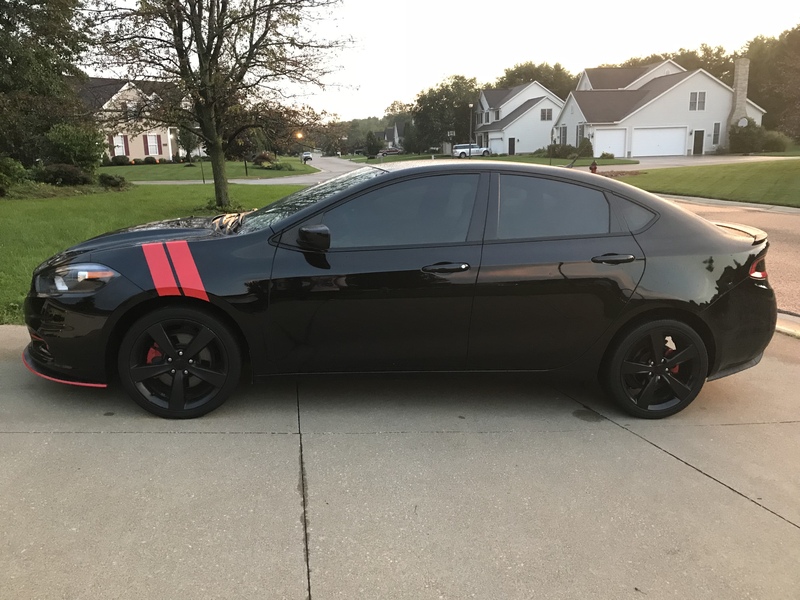 Slickmods tinted vinyl overlays. 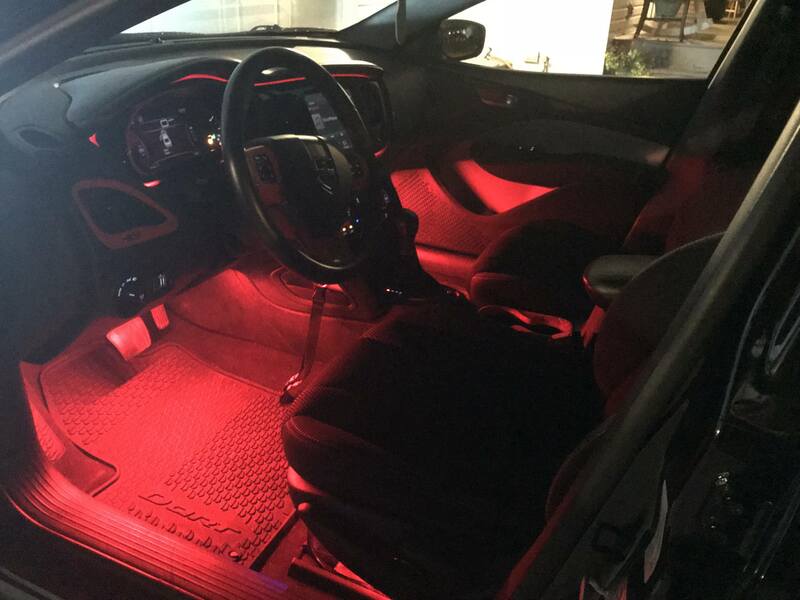 Four 12" RGBW Bluetooth Footwell LEDS - Fully programmable. 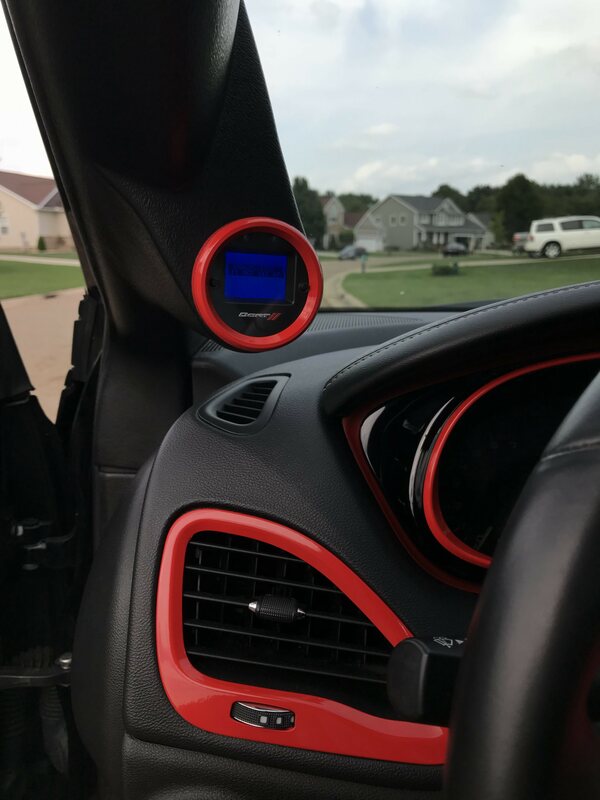 Wired to turn on every time I turn on the car. 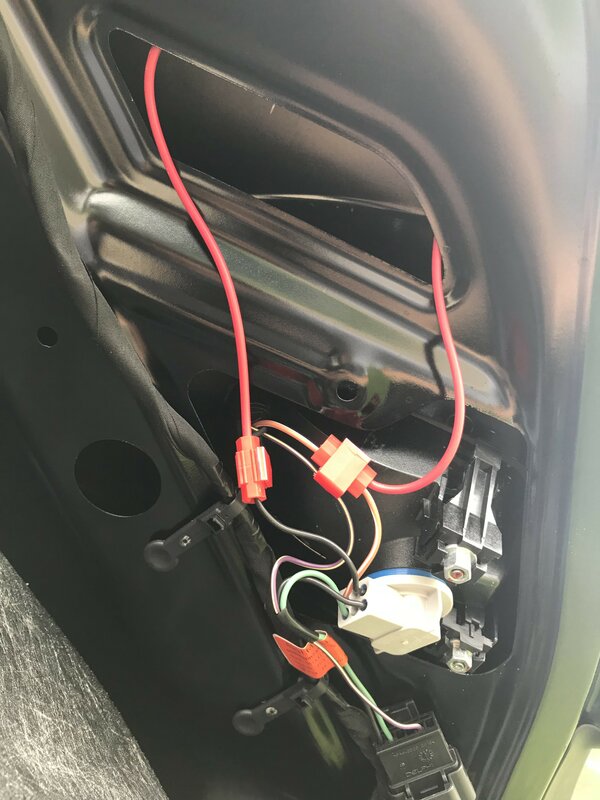 routed all the wiring so none is visible. 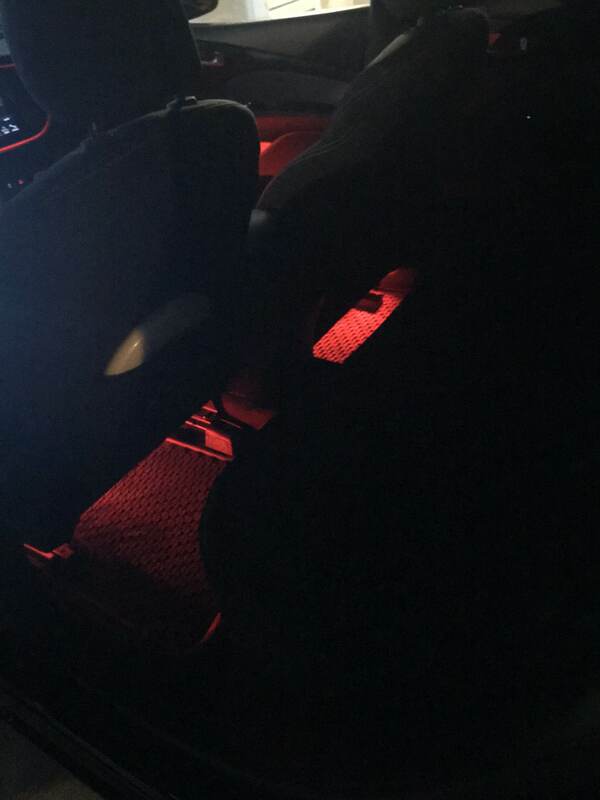 one strip in each footwell for driver and passenger and one strip under each front seat to give rear passengers some LED action as well. 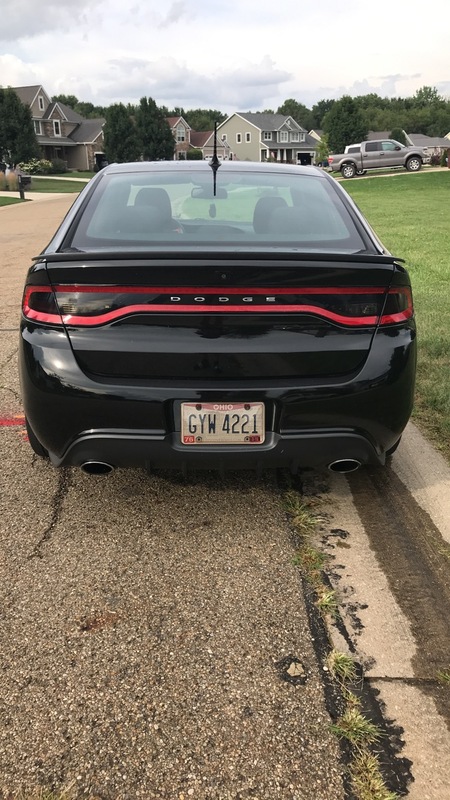 De-Badged "Dart" - Self explanatory but really gave a clean look to the rear of the car. 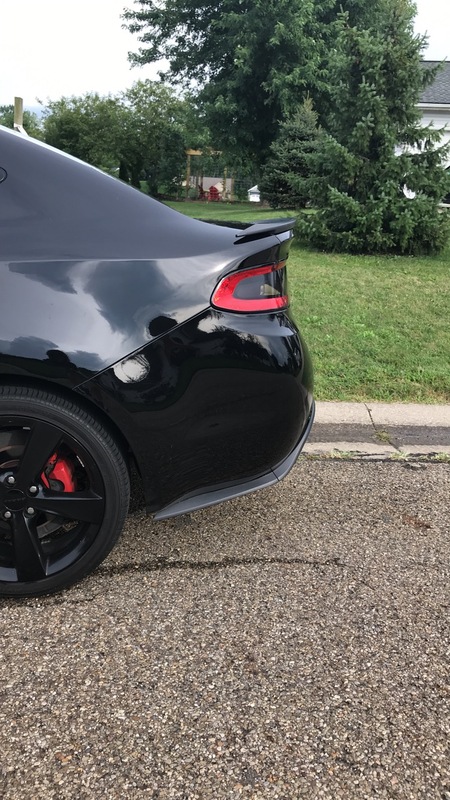 Ikon Motorsports Lowpro Spoiler - Waiting to get this paint matched but i love the subtleness of it. Not installed yet just laying on trunk for a picture. 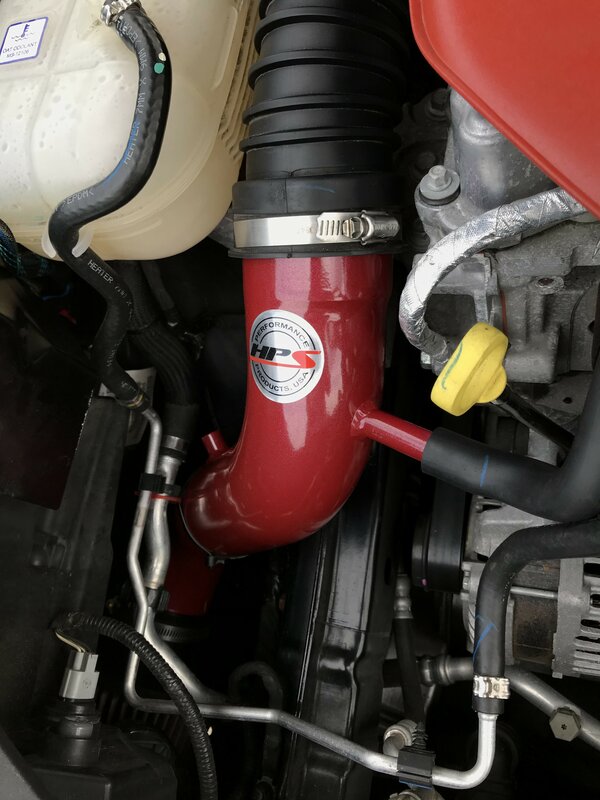 HPS Cold Air Intake with K&N Cone Filter - Got this for a steal ($50) Sounds amazing on the 2.4, especially when putting the pedal down! 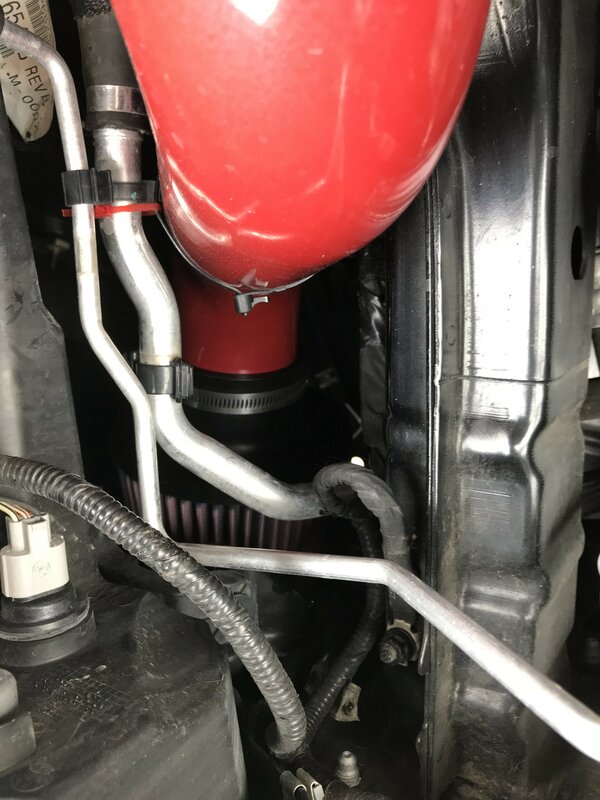 Lowered intake air temps. 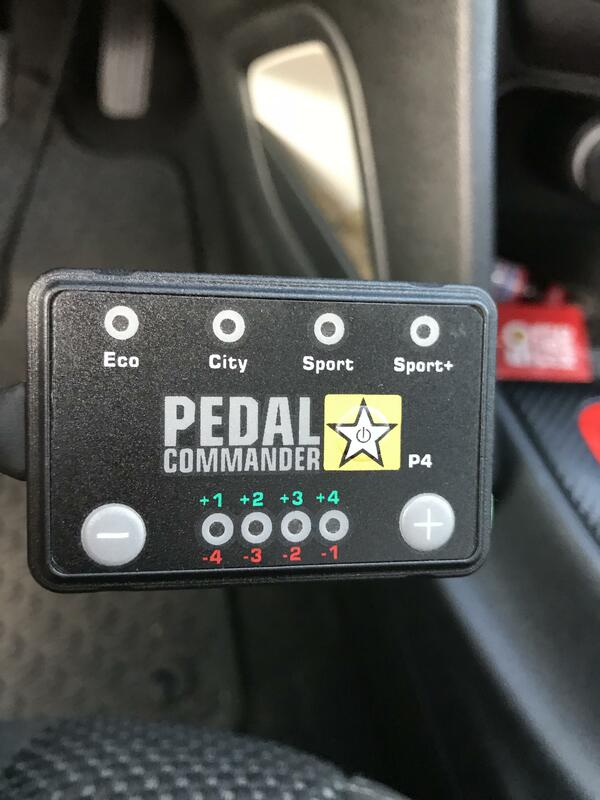 Pedal Commander Throttle Controller - Also got this for a steal. ($50) HO LEE CRAP this thing is wild. (Of course) i put it on Sport + as soon as i installed it. Really wakes up the car. Got my tires spinning. Increased smiles per gallon. 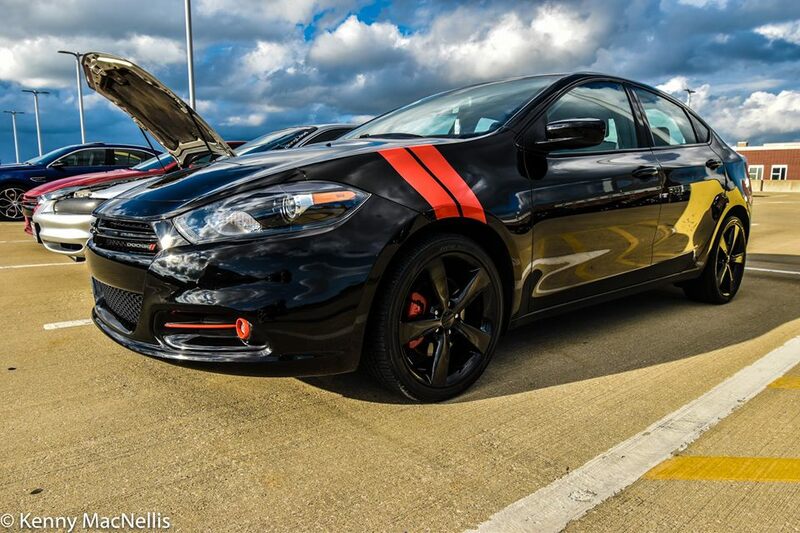 My ultimate goal in doing all this is making my own version of the never produced Dart R/T or SRT4. Yes, i plan on eventually doing the 2.4 Turbo Conversion. OH BOY! If anyone has any questions or wants better pictures of something just ask! '13Mopar315, Killraven, IamVILLAIN and 1 others like this. 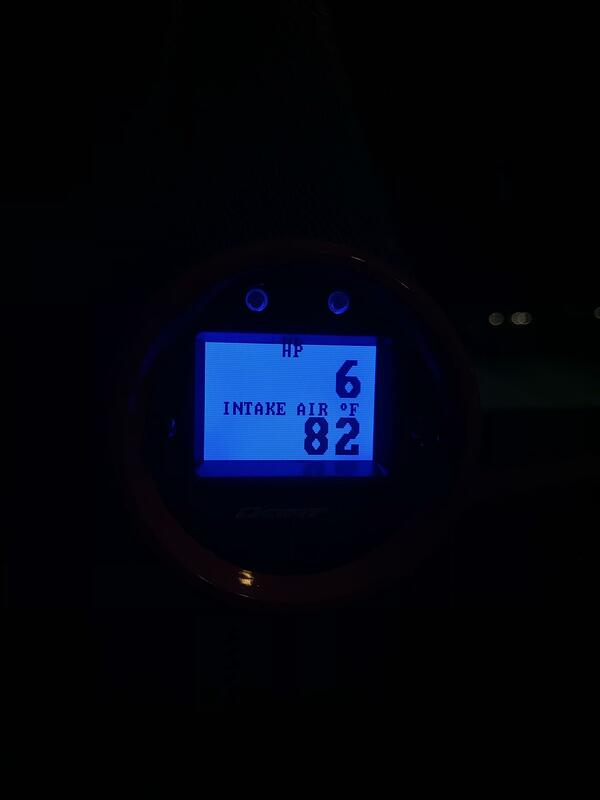 Better pictures of aero force interceptor OBDII gauge. Nice job. 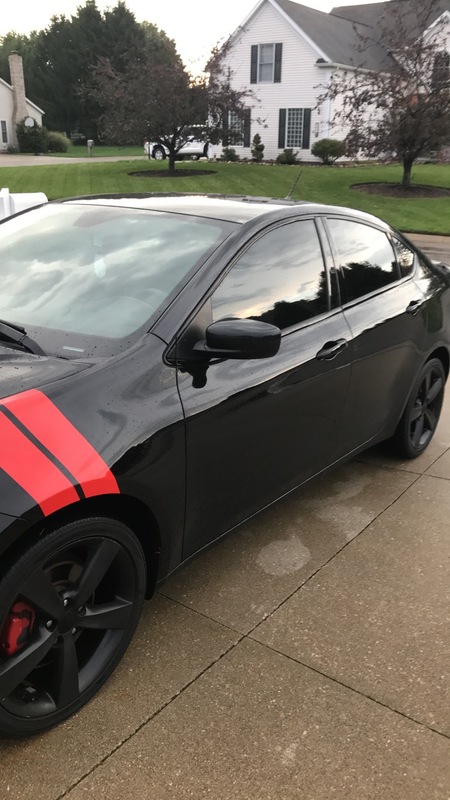 Your Dart looks awesome and I am going to steal ideas from you. 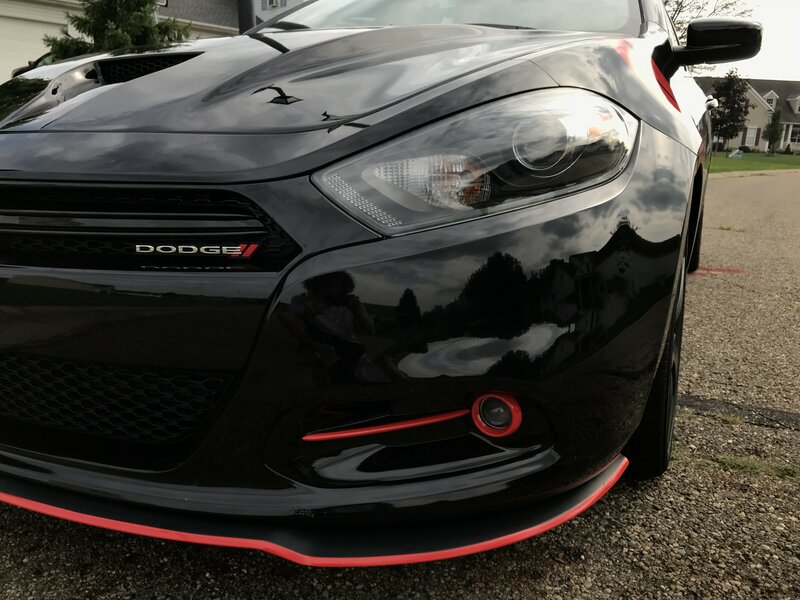 Just wondering, how much did it cost to have the GTS tribute hood painted Pitch Black? 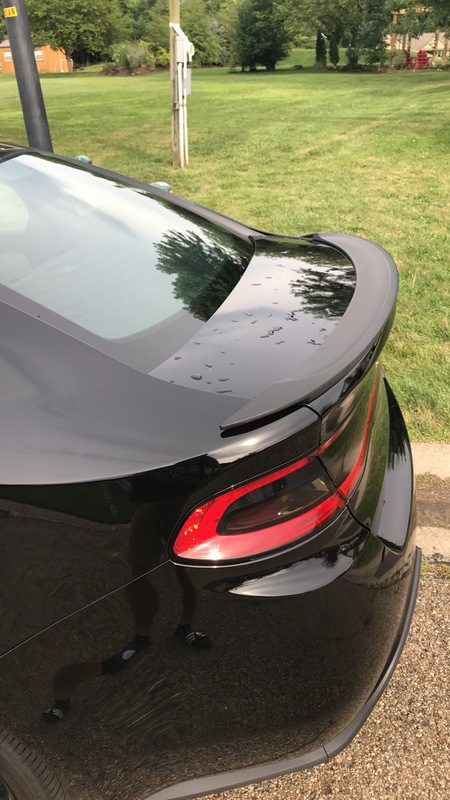 Also, did you transfer all needed hardware/liner/nozzles from your OEM hood, or did you have that done during the paint process as well by a shop? Thanks man! Most of my ideas came from stuff I’ve seen on this forum. 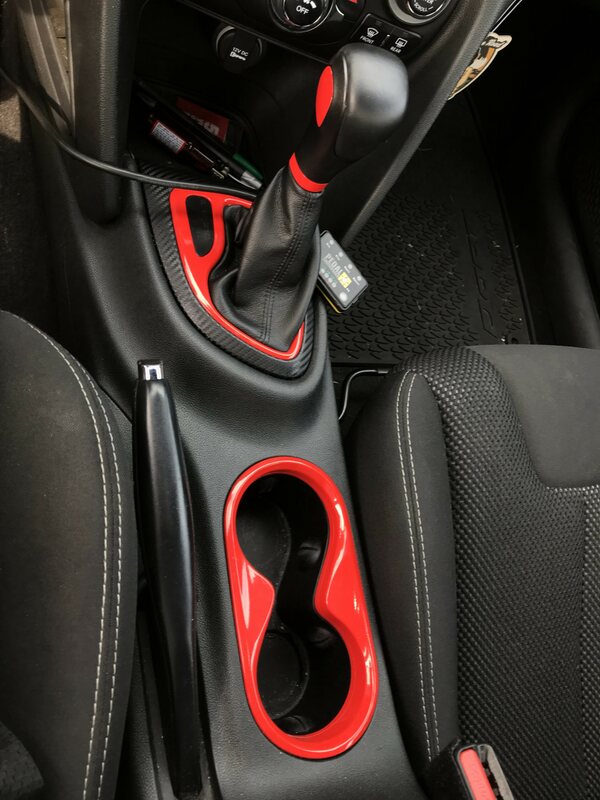 I think it’s the little extra things that really start to set this car apart. I usually get a few looks and head turns when I’m out and about. 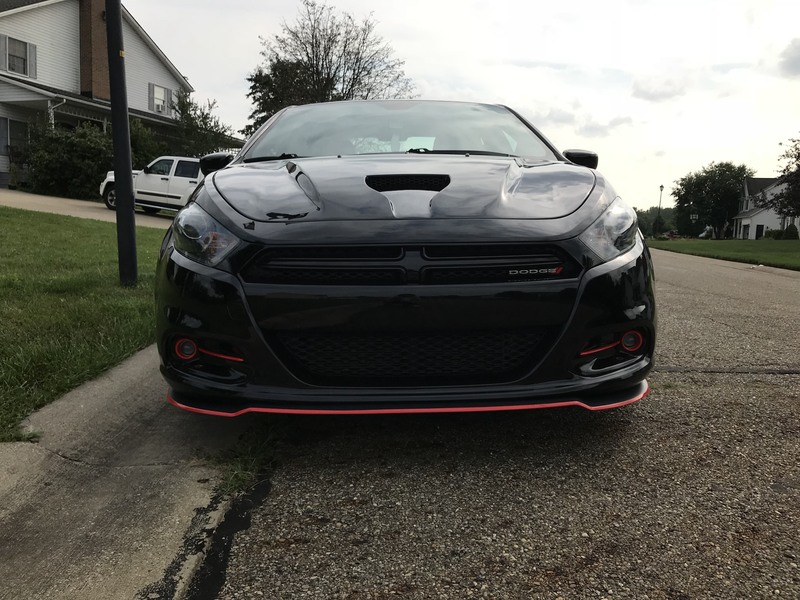 As for the hood, I purchased it off of the forum member ‘13mopar315. You may be able to message him with your questions about the paint job. For the hardware I went and tried to keep all the oem stuff on the original hood. Bought some universal automotive weatherstrip and new washer fluid sprayers. I didn’t transfer the top liner of the oem hood to the mpx because of the open hood scoop. It’s only for sound dampening anyways. IAT are lower and it looks mean as hell now. 20% all around. Took me a while to bite the bullet and finally do it but boy am I glad I did. Enjoying the privacy I have now. Lifetime warranty as well! 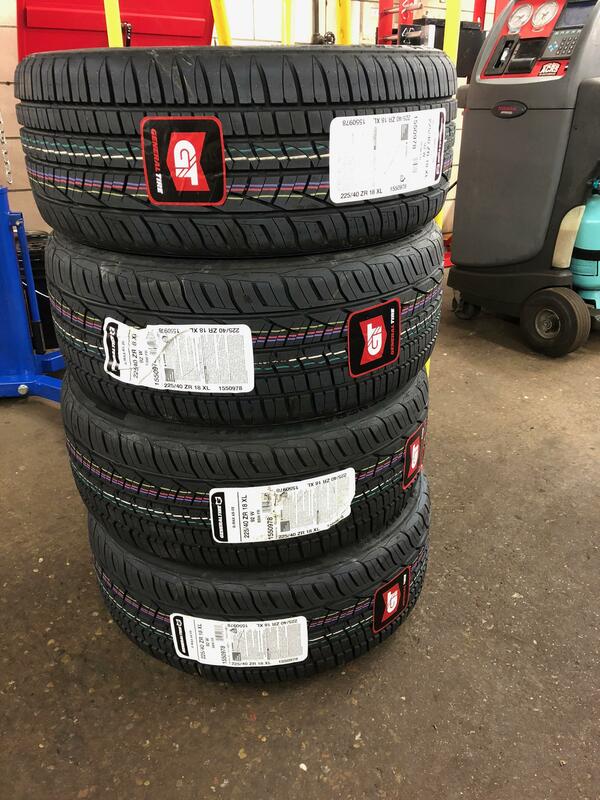 Time for a tire upgrade, not by choice either. Ohio construction is vicious this time of year. 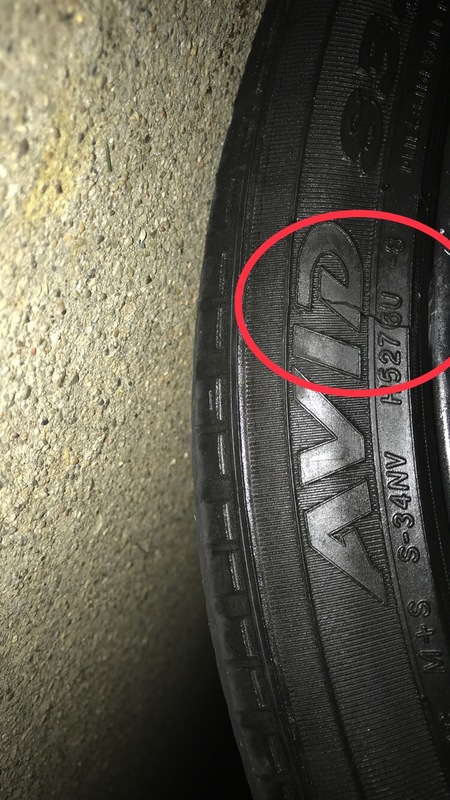 Took a whole chunk out of my sidewall. I planned on new tires before winter anyways so oh well. Couldn’t get the best pic but the slit is the shape of a 90 degree angle, the hard to see slit is parallel with the rim line. Got wrapped in some General G-Max AS-05 tires today. All season/high performance. 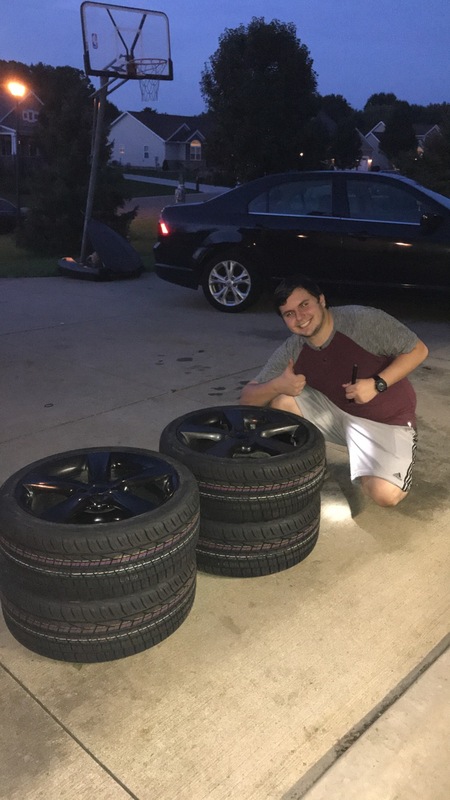 Got the tires, mounted them, and balanced them all in one day thanks to my good friend David pictured below. It pays to have a buddy with connections in the car service business!